This pirate cockade is approx. 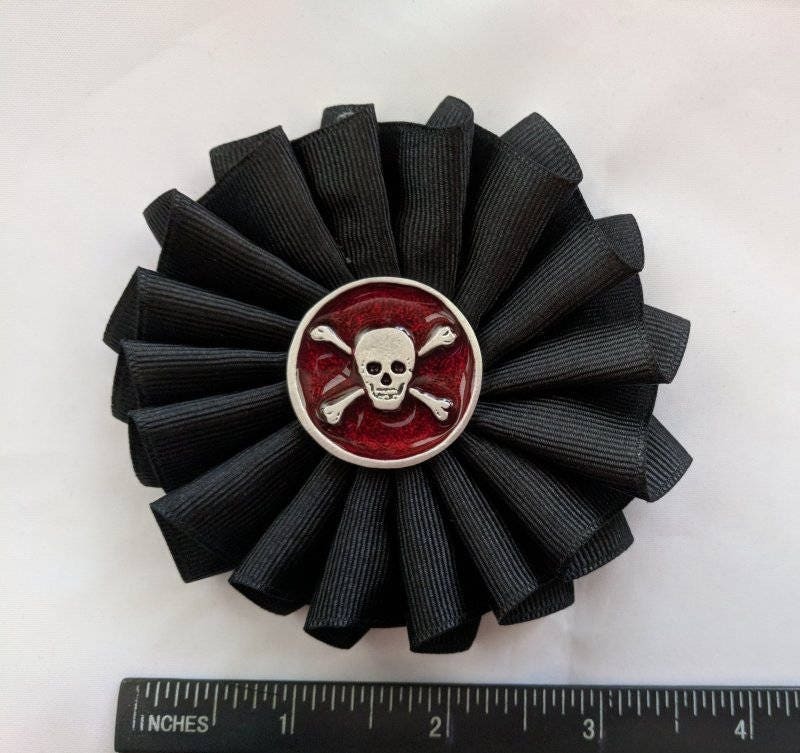 3 3/4" diameter and made with pleated 1 1/2" grosgrain ribbon. In the center there is a large 30mm (approx. 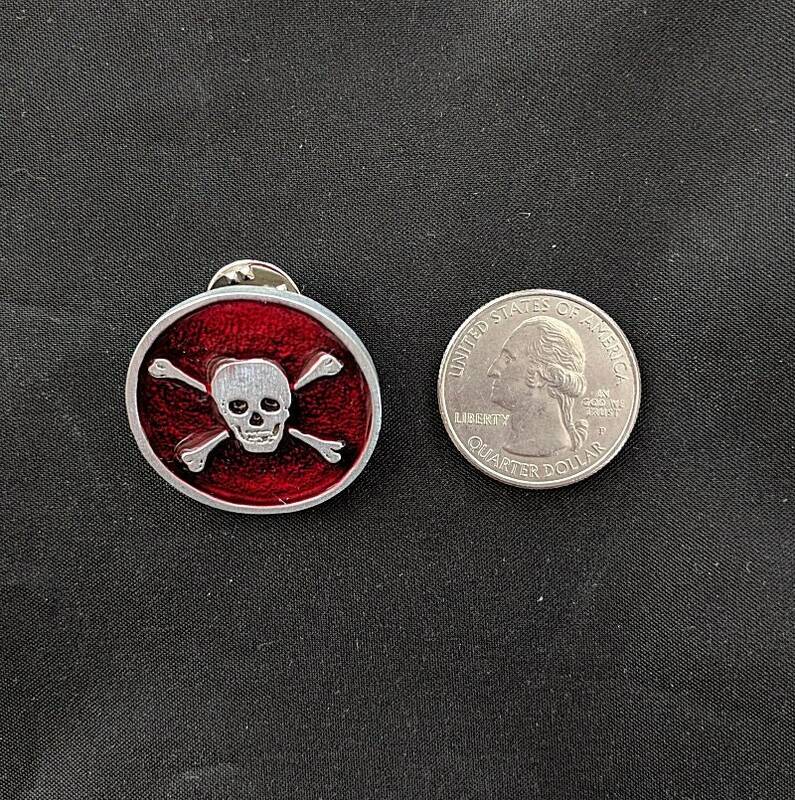 1 1/8") pewter skull and crossbones pin with a red enameled background. 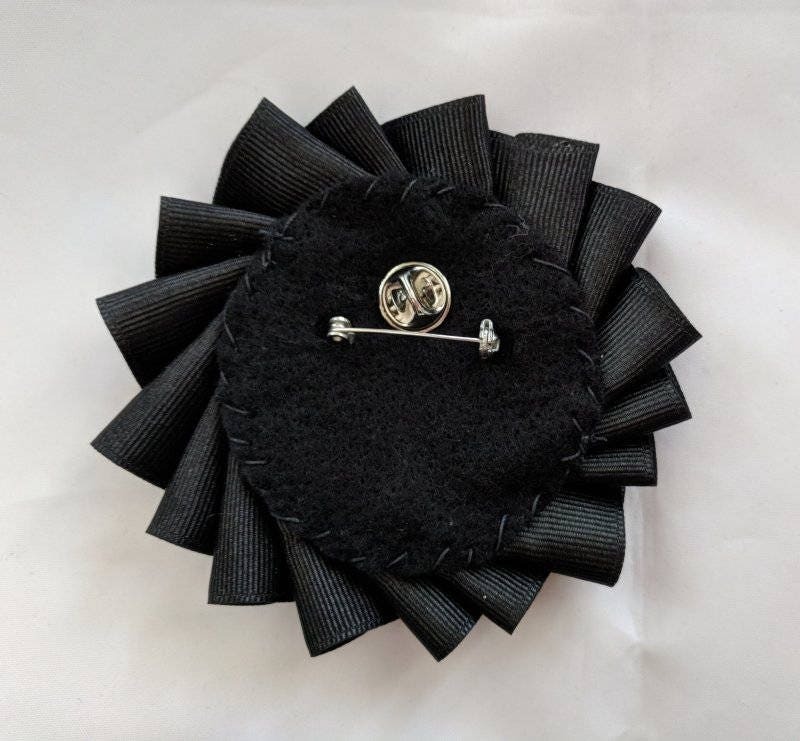 This tack pin can be removed so that you can wear it without the ribbon. 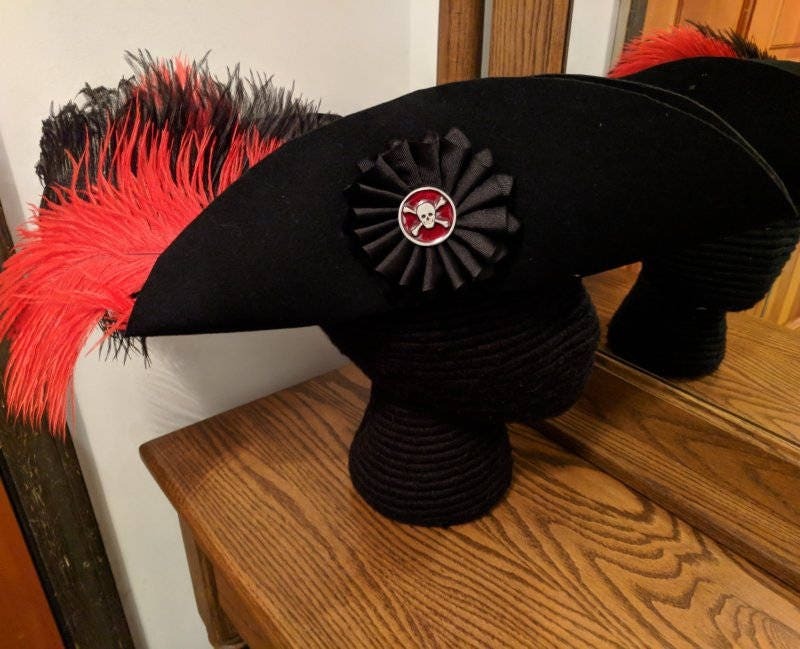 On the felt backing, there is also a bar pin for attaching the cockade to clothing or a cloth hat. The pin is too fragile for a heavy felt hat. Use needle and thread to add stitches to a felt hat and then slip the pin through those stitches. The hat and feathers pictured are for display only. Not included in this listing! You can find it in a separate listing in the Hats and Headwear section or convo us for availability. NO QUARTER GIVEN - This phrase is literally a death sentence. Any men in the battle would have no mercy shown to them and surrender would not be accepted. To give ‘no quarter’ meant that no prisoners would be taken or fighting to the death in a duel. HISTORY: Memento Mori Jewelry, with its unflinching use of symbols of death and its purposeful message, "Remember you must die" was widely worn in Western Europe during the 16th century. A constant reminder that life is temporary and heaven should be the ultimate goal, its intention was to encourage virtuous living. 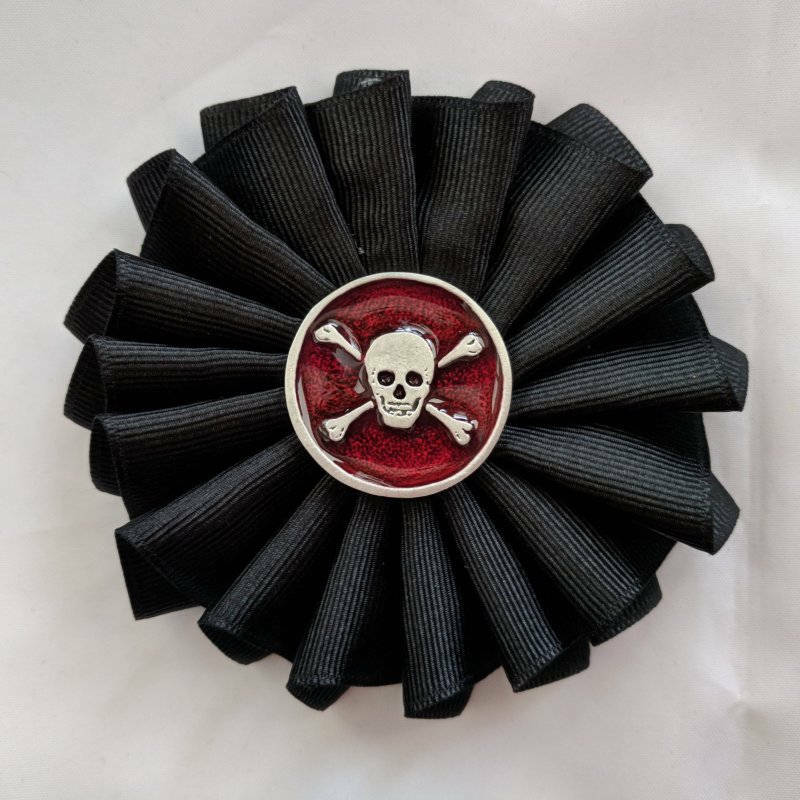 Later skulls and black ribbons were used as a sign of mourning the loss of a loved one. Very well made. High quality materials. Very fast shipping. Overall excellent shopping experience. I will definitely purchase from Palace Gallery again.